In a major setback to Ola, the Karnataka transport department has suspended the cab-hailing unicorn’s aggregator licence that permits it to operate a taxi service in the state. The move was in response to Ola’s failure to respond to the department’s notice last month that sought an explanation about its recently relaunched bike taxi services in Bengaluru. According to the order, a copy of which has been reviewed by TechCircle, the SoftBank-backed company has been suspended from operating aggregator services of any vehicles including cars, autos and bikes for six months. 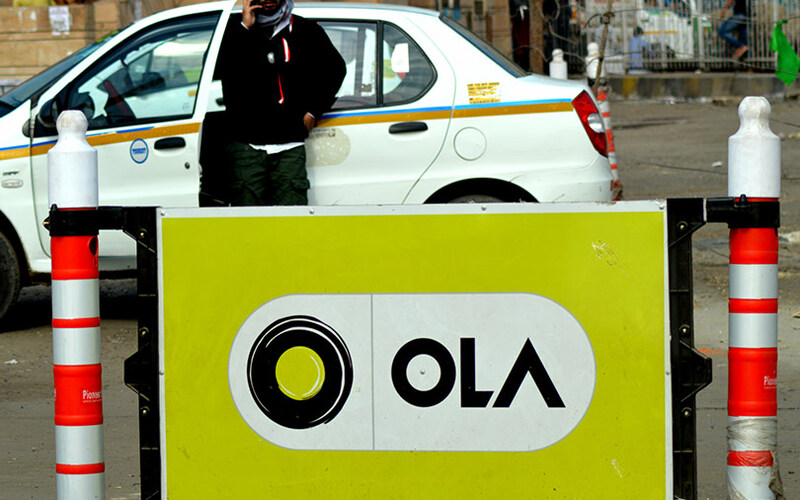 The department has asked Ola to surrender its aggregator licence in three days or face legal actions. The department is also initiating actions against bike taxi startup Rapido. Ola and Rapido did not respond to TechCircle queries. The state transport department had issued the aggregator licence to ANI Technologies Pvt. Ltd, which operates Ola, in 2016 under the Karnataka On-Demand Transportation Technology Aggregators Rules 2016. Ola, which had paused the bike-taxi service in Bengaluru in 2017, recently relaunched operations. According to a Deccan Herald report last month, the state transport commissioner had given a week’s time to Ola to explain why its licence should not be cancelled as per Rule 11 of Aggregator Rules, 2016. Last month, the Karnataka transport department had confiscated nearly 200 bike taxis in Bengaluru attached with Ola and Rapido. The department also issued notices to the companies for allegedly violating licence rules. However, both the companies continued to operate their bike taxi services. According to various media reports, transport department officials took out a week-long drive against bike-taxi operations, posing as customers on these platforms to confiscate the bikes. Owners of these bikes have been booked for attaching their vehicles with aggregators. “Several app-based aggregators, like Ola and Rapido, are illegally operating bike-taxi business. Bike owners are held responsible for using private bikes for commercial purposes. We referred the cases to the courts concerned, and they have to pay the penalty in line with the directions of the court,” The Hindu cited additional transport commissioner CP Narayana Swamy as saying. The crackdown comes after Tanveer Pasha, president of Ola, TaxiForSure and Uber Taxi Drivers and Owners' Association (OTU), filed a complaint with the transport commissioner about these services last week. Following the complaint, the department officials asked the companies to halt services. “Ola and Rapido companies were operating two-wheeler taxi services without proper permissions required from the regional transport office. We from OTU and Karnataka Auto and Taxi Federation had brought this to the notice of the Transport Department. Based on our complaint, the transport department has issued a notice to the concerned companies and now their licences are suspended for operating illegally,” Pasha said. The bike-taxi legal logjam is a reminder of the pre-licence period of cab-hailing when state authorities had impounded several Ola and Uber vehicles. A total of 14 states in India now accept bike taxis and have issued commercial licences to startups. However, Bengaluru and Mumbai do not allow bike taxis to operate.